Airbus Australia Pacific is a leader because our people share common values and a determination to succeed. We live by the belief that with a diverse group of people brings a diverse group of ideas, triggering more engagement, creativity and performance. We are inspired by each other’s knowledge and experiences. We foster an inclusive, friendly environment to encourage sharing and collaboration so we can thrive as individuals. Inclusion is a working environment where all employees are respected and valued for their distinctive characteristics and have a sense of belonging in their team and in their company. 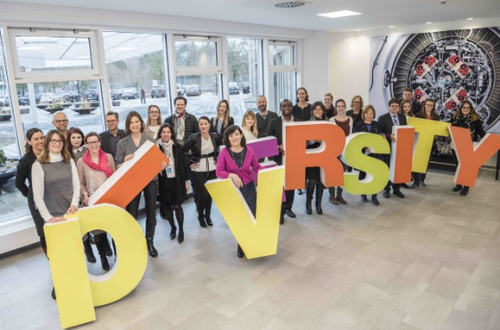 At Airbus, diversity is a core part of our identity. More than 130 nationalities are represented and more than 20 languages are spoken within the company. Our employee resource group, Balance for Business, includes more than 4,000 employees worldwide that accompany and drive the company culture forward. It manages such topics as work life balance, career development, integration of disabled employees, furthering gender balance and ensuring company commitment to our LGBTI charter.